With Vacuum or Not: No. Works efficiently and handy to use. Very good product. 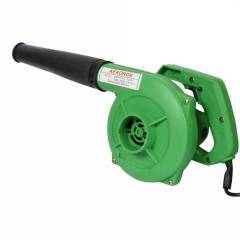 Aeronox airblower is very useful product for home use. Handy and clean very quickly with 13000rpm powerful machine. I suggest every1 to use this site. 6 of 9 users found this review helpful. Was this review helpful? Aeronox 13000rpm Air Blower is a very usefull instrument to clean dust, it is easy to use and consume low power,it's air blowing capicity is 2.3 m³/min. Good Product for industrial users. I ordered Aeronox 13000rpm Air Blower from moglix,my experience is very good with moglix,its easly clean the dust from the gas stove,it can control Air speed using regulator, it easy to clean car dust and perfect for handy to use.